In major news from Jerusalem this week, the German Colony is having a new light rail line built, running straight through Emek Refaim. This is a decision that has been under debate for the last two years! 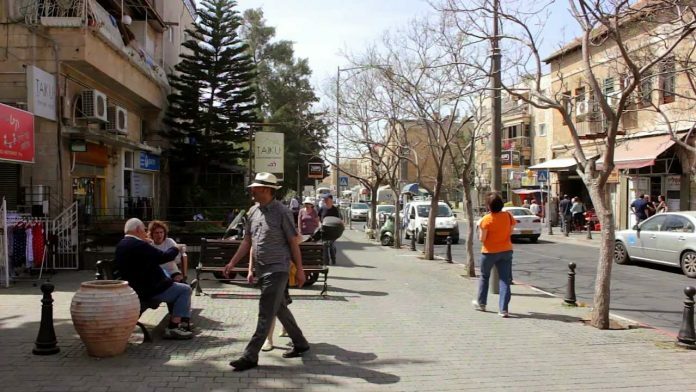 The blue line was approved after years of debate by transportation minister Yisrael Katz. Though lots of people protested it, I think this is crucial for the long-term growth of the German Colony and the rejuvenation of the commercial nature of the street. The blue line will run from Ramot to Gilo and will connect Emek to the city center. When the work is done, it will make the German Colony an even more desirable and expensive neighborhood. I therefore believe it could be an excellent time to buy in the German Colony. I think some residents will sell now on the belief that prices will drop during and after construction. I personally strongly disagree with their reading of the market but that is why opportunities will soon be created, as many will want to sell before the work begins, and buyers will sensibly argue they do not want construction interference. I believe the German Colony is one of the prettiest neighborhoods in Jerusalem, but Emek Refaim has been in need of rejuvenation. This development is the boost that is needed. A fast connection to the city center should make the German Colony an even better investment.